Omis is getting ready for the exciting ending of the most popular cultural event in town. Festival of Dalmatian Klapas Omis will end with final evenings of male and female “klapas” on July 23rd and 24th. Klapa song is an original Dalmatian musical form. It is special because of its multiple voice singing, mostly in four sections, a capella, with slow tempo and very emotional performance. It is interesting that “klapas” survived not only due to being a part of cultural heritage. On the contrary, because of manifestations like this in Omis, Croatia has gained a rich and lively music scene of “klapa” song which attracts impressive number of audience. 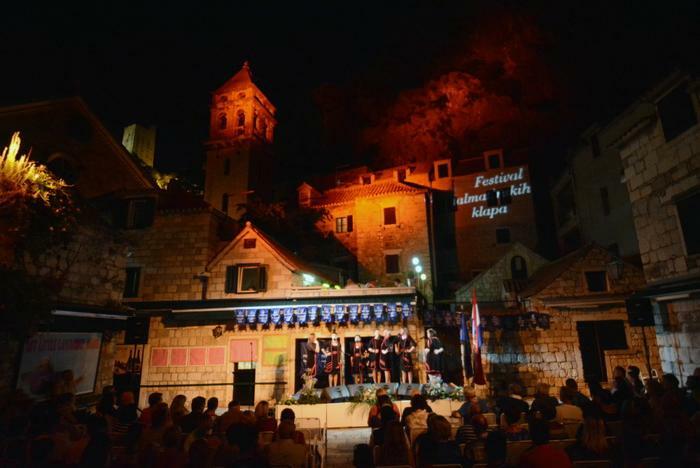 Any one who visits Omis during the “finals weekend” will not be able to resist the charm of traditional Dalmatian melodies with perfect performances of the finalists of Omis Festival and town's merry atmosphere.